After I hurt my back, which the doctor says was a pelvic shear (and I'm not sure what that is), Hubs was VERY protective of me. He didn't want me doing anything. I think it really scared him when I got home and couldn't move without being in severe pain. However, it got to the point that I HAD to be able to do some stuff. Besides, I felt that if I would just lie around in pain all day then whatever was wrong with my back would never work itself out and get better. So, being a bad little patient, a couple times, I snuck outside, just to walk around a bit and try to get my back to correct itself. During one of those secret outings, I was lucky enough to photograph, although it was very painful, this Swallowtail butterfly. At the time, I think this butterfly and I could relate to each other. 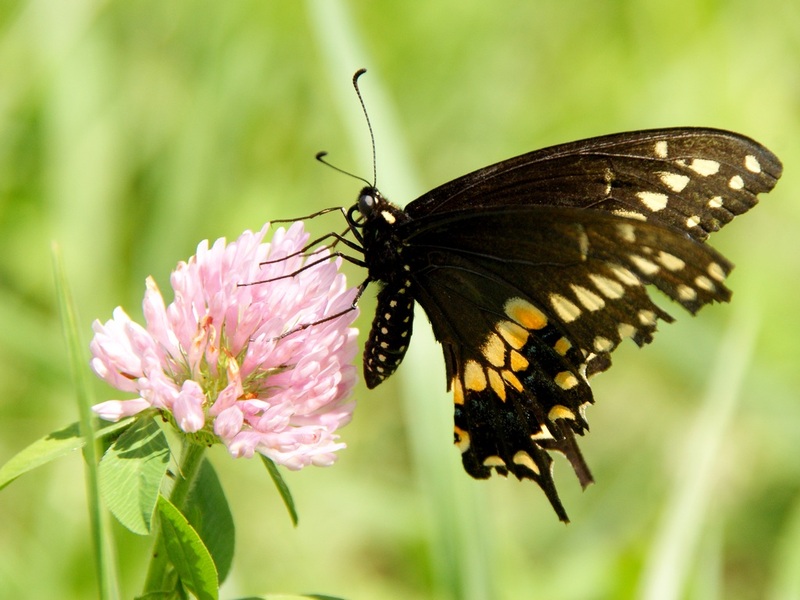 I was feeling quite damaged, and, as you can see by looking at its wings, this butterfly has had its own share of rough moments. We didn't sit around smoking romeo y julieta cigars and sharing our life stories, but we did have a bit of a bonding moment while this butterfly allowed me to photograph it and reminded me that we can persevere. Wow, just beautiful...love the DOF! A cigar smoking butterfly. Amazing. I like the photo and your determination to not allow mere pain to stop you. Of course mere isn't a proper adjective when you are in pain. Be well and sneak out often enough to make more fine images while you heal. And you will heal. Beautifully composed image. Hope that you are on the way to getting better. First and foremost I hope you are healing and feeling much more pain free. 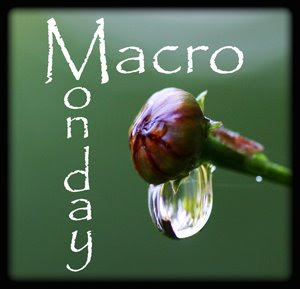 Now - a super macro! I so hate seeing these guys so damaged. He is still quite beautiful. It's just beautiful!! I love you you tied the photo to a story about you. Well done with the photograph. I'm only surprised you have no camera shake - I'm sure I would have had! Now I'm off to look at your link. Cigars and butterflies? Intriguing! Oh so nice...how wonderful to look at. How inspiring! Great shot and healing thought coming your way! My Macro is Nautical And I also added a bit about a new meme I'm inviting everyone; if you'd like to join in on the challenge. Come over and find out what day on which it will take place....join me? Don't you do too much, ok? I'm glad that you got some photo therapy because I enjoy the butterfly. I do hope you get better soon. Gorgeous! I'm sure hoping your back is better. :) Those sneaky little nature therapy sessions can sure work miracles!